Black and white is a timeless color combination that’s found in everything from clothing to building materials. The sharp contrast makes shapes stand out, and it ensures that any large area will be visually appealing. When you picture black and white designs, you may see a checkerboard in your mind, but there are far more options and patterns to consider. Here are ten creative ways you can add black and white marble to your next project. An ocean of black or white may be overwhelming, but you can easily mix the two colors in a more calming way. Create a black and white bathroom by putting white tiles on the floor and painting the walls pure white. Choose black vanities with stark white sinks. Finish off the design with chrome hardware, a border of black tiles around the mirror and black marble on the apron of the bathtub. The shower can be finished in a more neutral gray, or you might choose to use white tiles with a low border or stripe in glossy black. This modern look is perfect for many commercial settings, or you can add it to your next residential project. White tiles are a great choice for the floor because they blend seamlessly with the sinks, commode and tub. Make one wall stand out more by covering it with black marble tiles. Balance the wall opposite the tub with a coat of soft, silvery paint. If you have windows in the bathroom, finish them off with soft, gray fabric. Where possible, use frosted glass with this design scheme to maintain a soft look and prevent the black tiles from becoming overwhelming. Add a few splashes with some fresh flowers or brightly colored hand towels. Using large fields of the solid colors will make narrow spaces and small rooms seem larger and more comfortable. One of the most common black and white patterns uses small spots of black marble amid a field of lustrous white. This type of polka-dot look has been in use for decades and continues to be a popular option. The simple pattern looks lovely with wainscoting on the walls and basic striped upholstery on furniture, curtains and other accents. With white as the dominant color, you can easily add bold spots of color through the window treatments, decorations and other accents. The black and white design will serve as a neutral palette that you can have fun working with. Most bathrooms feature white floors because it’s easy to see when the floor needs some attention. This means that a black floor will stand out more and demand attention. It’s just as easy to clean because marble is water resistant and very durable. Cleaning only takes a few moments when most stains and marks are easily lifted away with nothing more than a damp mop. You can make the flooring more interesting by putting a border of brilliant white tiles around the perimeter or in a medallion in the center. Balance the black floor by leaving the walls and fixtures white for a look that’s modern and conservative at the same time. Put a modern twist on the classic checkerboard floor by using tiles of different sizes. Work up a pattern using large white tiles with small black marble offsets. You can cut the corners off each white tile to create a recessed space for the black marble, or you can simply offset the tiles to make the smaller tiles fit. Putting more space between the jet black contrasting tiles is an excellent way to add color to a large area while holding on to a more relaxed feel. Make entries feel grander by using this pattern, or bring it into the kitchen for a fun and understated finish on the floor. When you combine two different size tiles, you can also create fun stripes that add interest and style to the room. Your first inclination is to put the stripes in a horizontal or vertical line, but you may find that a 45-degree angle is more visually appealing. Balance the other black and white elements of your bathroom. The stripes will help tie the space together without making the floor look too dark. Avoid using stripes in other areas to keep a balanced look. Introduce warm colors by adding bold curtains, whimsical accents and even brightly colored light fixtures. If you have an architectural feature that deserves to be highlighted, consider doing so by using a combination of black and white tiles. Pillars and columns will stand out more when you use white for the main supports and black at the top and bottom. Finish off a fireplace mantle with black marble tiles and balance the look with a white façade. If you have black and white marbled tile, then you can use this for a glorious surround. Top it with a solid color to make the veining stand out more and finish off the look with style. White reflects more light while black tends to absorb it. That doesn’t mean that you should avoid using dark colors in small rooms. If you’re working with a tiny bathroom, make it more impressive by using elegant black marble on raised surfaces like the bathtub surround and counters. Balance it by creating a solid wall of black tiles in the shower. This type of finish also works nicely in foyers, kitchen alcoves and other small areas throughout the home. Using the pop of darker color on an elevated surface brings the eyes up and helps make the space feel more sophisticated and impressive. Leave the old checkerboard behind and go with a herringbone pattern, instead. This fanciful pattern resembles a wave as the alternating colors rise and fall across the floor. Use rectangular tiles to create the look, and lay the rows in a zig-zag to get the movement and interlocking design. This bold look deserves to have its own spot of glory in a room that will not need carpets on the floor. Keep the décor in the rest of the room simple to ensure that your stunning pattern looks fun and whimsical rather than feeling gaudy and out of place. When you’re working with black and white tiles on the main floor, finishing off the stairs can be a challenge. Go with a simple yet effective pattern by installing sleek black tile on the treads and using white tiles to protect the risers. Finish the bannister with black lacquered rails and brilliant white spindles. This color combination will help show off the black and white floors below while giving the stairs their own elegant finish. When you’re ready to introduce black and white patterns to your home, work with a reliable supplier like Nalboor. 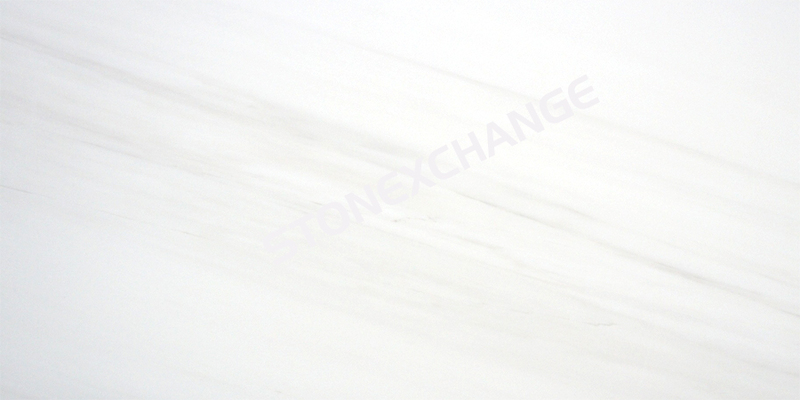 We offer wholesale pricing on beautiful marble tiles in a wide range of colors. All of these styles will also look stunning with Rojo Alicante tiles instead of black, or you can choose to use a beautiful travertine for a more subdued look. We believe in providing our clients with top-quality service, and our friendly staff is available to answer any questions you have. So if you are interested in enhancing your business or home with our beautiful marble tiles, contact us today through our online form. You may also call us at (305) 501-4548 to speak to one of our professionals from the most affordable marble wholesaler in Florida!